Reflect created two visually dynamic LED displays using FLEXLite NXG technology from Nashville-based PixelFLEX for their new headquarters in Richardson, Texas. 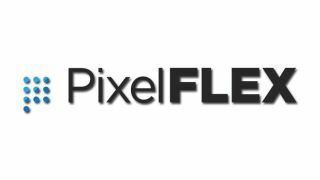 Tthe FLEXLite NXG from PixelFLEX is designed to meet the demands of any installation or production. With fully front-serviceable panels, the FLEXLite NXG is available in 2.6mm-6.25mm pitch options, plus it includes a 6.25mm IP65 version as well. For optimum performance, FLEXLite NXG tiles are calibrated directly out of the box to help decrease any failures in the field and to ensure perfect color and brightness. When deciding upon which technology to use for the “store front” application, there were specific advantages to choosing the FLEXLite NXG. With the installation complete, Reflect opened the doors to their new headquarters in Texas. Thornhill is confident they have achieved their goal of merging the digital and physical worlds through the creative deployment of the FLEXLite NXG displays.